You would have probably heard of dry drowning or secondary drowning. This makes many parents to feel very helpless. The good thing is that these incidences can be prevented. This is a condition that is very common in both adults and children. This is drowning as a result of fluid in the lungs. It occurs about 24 hours after swimming or bathing. The reason why it is called dry is because it occurs after the swimming episode. The water gets into the lungs and the vocal cords. Doctors prescribe that you look out for the distressing signs like breathing difficulties, coughing consistently and extreme sleepiness. According to the Center for Disease Control and Prevention (CDC), for any child who dies from drowning, 5 more children are likely to be admitted to the emergency department for the nonfatal injuries from submersion. Both the children, toddlers (below 4 years) and adults are likely to witness the symptoms. However, the occurrence is more likely in children than the adults. This is because of the smaller bodies. Drowning occurs in all the types of water including ponds, bathtubs, toilet bowls and small plastic pools. In dry drowning, the water rashes to the lungs fast and then damages the lining of the lungs. This is the main reason why fluid accumulates in the lungs. In the long run, a condition known as pulmonary edema sets in. The first thing that you will see in your child is difficulties in breathing. This is not a medical condition but could worsen if attention is not sought within the shortest time possible. There are also reports from the CDC that dry drowning is responsible for about 3,500 deaths of children per year. Further, it is estimated that there are about 10 drowning deaths in a day. When your child suffers from this, it might get a brain damage. When you suffer from severe secondary drowning, you may eventually die from suffocation after the drowning event. Continuous and constant coughing. If the coughing goes on for more than 30 minutes, then it is an indicator of water reaching the lungs. Trouble when breathing or a drop in the levels of energy. There is also a likelihood of having difficulties in swallowing. This is at times related to the closure of the larynx which is known as laryngospasm. This situation is likely to last for about 60 seconds although there are times when it may last for minutes. Spitting water is also likely to occur. You may experience lack of energy and extreme tiredness. This condition is called lethargy. Rubbing of eyes frequently as they appear pale and sweaty. There is a change in behavior and most likely irritability sets in. Chest pain. This is an immediate sign as a result of inadequate oxygen reaching the lungs as required. Your brain may be deprived of adequate oxygen. This is because of improper functioning of your lungs. There are some sudden behaviors that occur when the dry drowning occurs. Immediate examination is important so as to prevent further damage. You should always treat this as a medical emergency and report to hospital the soonest. There are various causes that are not necessarily related to the water that can cause dry drowning. Here are the most common reasons. There are other causes that include a lot of water reaching the lungs, long periods of exposure of lungs to water and changes in the oxygen absorbing tissues. Just like in all cases, dry drowning occurs when water accumulates in the lungs. The adults get drowning after a swimming spree. It is important that the person who has suffered this treats the occurrence as soon as possible. In as much it is rare, it can be fatal when it occurs. There is a little fluid that accumulates in the lungs but there is a belief that it is because of a lot of fluid that accumulates in the lungs. 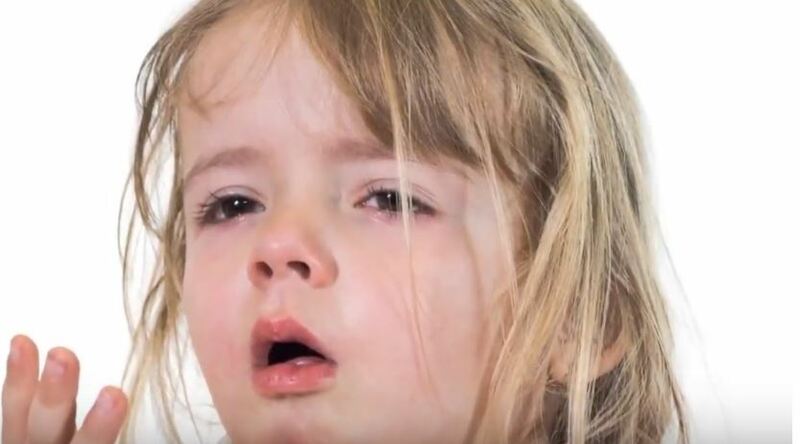 Any adults that are affected by asthma or other conditions like underdeveloped lungs are at higher chances of suffering from difficulty in breathing after this. There is evidence that muscular paralysis could lead to water getting to the lungs. This is because the diaphragm is not able to create proper movements of the respiratory system. This is likely to happen when your kid has had a successful time swimming. You are unlikely to point out its presence. That is the reason why you should be aware of the basic signs and symptoms so as to undertake the proper preventive measures. There are cases where the symptoms of this are likely to go away on their own. You should however not neglect but visit the doctor as soon as possible for checkup and treatment. You should keep an eye over your child for 24 hours once you notice the ingestion of water. When the symptoms get worse, a pediatrician is the one to be approached urgently. A chest X-ray would reveal the water presence and thus form the basis for the treatment. The doctor checks and then monitors the condition over time as they maintain supportive care. There are few treatment options that you can undertake. The most appropriate way to prevent fatality is by emergency admission. There is no particular treatment that is suitable for dry drowning. The commonest and most important thing to do is to help the affected person start breathing. The first choice of the treatment that you should consider is a ventilator. Further, you could take the patient to a machine to help in the distribution of the oxygen. 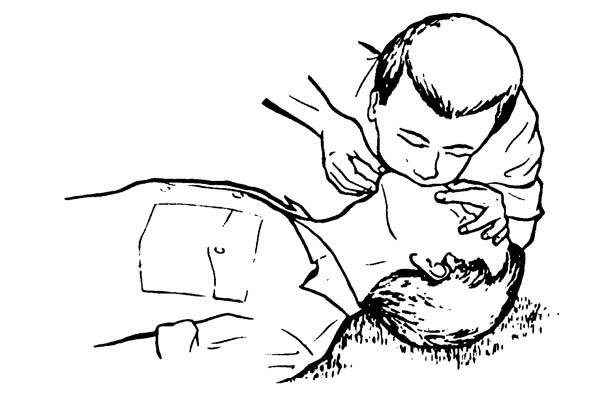 Mouth-to-mouth resuscitation is a first aid technique that stimulates respiration. This in most cases proves to be a useful first aid technique for such patients. This method is however hard and impossible to use if you have ingested a lot of water or if your stomach is distended. Place the child on a hard and flat surface facing upwards. Help their head tilt backwards. This helps open up the airway. Place your mouth on the child’s mouth and nose. Quickly blow two shallow breaths into the child’s mouth. The chest will rise. Release the mouth and nose and observe the chest fall as the child exhales. This should help the child start breathing again. If breathing does not resume, repeat the procedure. You could place something hard on the back of the victim. This is important because it helps the victim expel water from the lungs. You could use things like a boat seat and a peddle for this purpose. In most of the cases, the temperature of the victim goes above the normal. In these times, you should go ahead and wrap the victim with a blanket. You could also give the victim some warm water or some fluids. To undertake a recovery mechanism, you could put the victim in a supine position. In the course of this put the victim’s head parallel to the ground. This is because it is related to the building of the intracranial pressure. When you do this, you will be providing some relaxation. Apart from that, you may press the belly of the affected victim. Ensure that you do not press very hard. This is important to help the victim expel water in case it gets into the larynx. It improves the condition. The first and best thing to do is prevent it from ingesting water. This prevents it from drowning. Put in mind that drowning does not just occur when swimming. A few inches of water can make your baby to experience dry drowning symptoms, provided a few inches of the toddler’s head gets submerged. The other thing you could do is to supervise the swimming and bath of your child. Ensure you do not leave buckets of water idling around in areas where your children can reach. Besides, never leave your child to swim alone, even in your own hose pool or bathtub. In most cases, children who swim alone are at a higher risk of drowning than those who swim in groups or with adults. Further, you could keep you should ensure that your toddlers are away from toilets or toilet locks. Apart from that, talk to your teenagers about taking drugs and alcohol and swimming. This could contribute to dry drowning. In the long run, the most important measure is to prompt immediate medical attention.